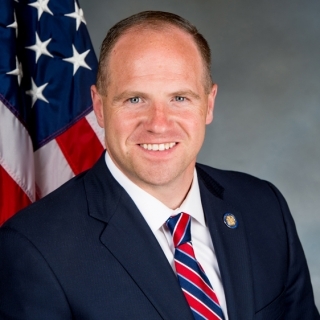 His lecture, "From Occupational Therapy to State Senate: Helping WNY'ers Get Back on Their Feet," will be held at 4:30 p.m. in MusicalFare Theater located on Daemen's campus. The event is free and open to the public. Kennedy was elected to the State Senate in 2011, having previously worked with geriatric and pediatric populations as a licensed occupational therapist. "Whether working as an occupational therapist or as a state senator, I've dedicated my career to one common goal – helping people," said Kennedy. "I'm thrilled to be able to discuss that journey through health care and government, and highlight the many people who have inspired me along the way in my presentation for the Distinguished Leaders Lecture Series." During his tenure as senator, Kennedy has been a strong advocate for Western New York seniors, the region's workforce, and safeguarding children, including spearheading the passage of Jay-J's law to stiffen penalties on repeat child abusers. He has also been involved in legislation to reform Child Protective Services and to protect victims of domestic violence. A lifelong Western New Yorker, Kennedy earned master's and bachelor's degrees in occupational therapy, both from D'Youville College. The Daemen Distinguished Leaders Lecture Series brings top government and public officials and business leaders to campus to share their unique perspective on critical state, national, and international issues.